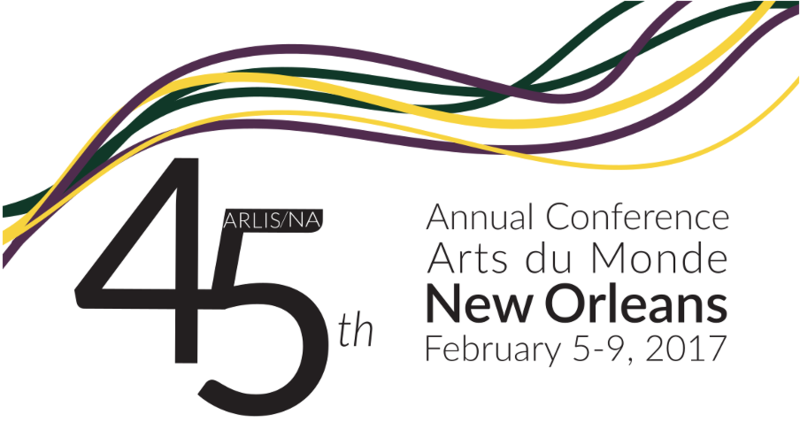 Hosted by the ARLIS/NA Southeast Chapter, the 2017 conference program features an excellent selection of presentations and workshops that highlight innovative and practical solutions; we hope you will find the programming beneficial, and in some cases, transformative to your work. Engage in and deepen your understanding of trending topics such as web archiving, linked open data, digital art history, and open access publishing in the visual arts (just to name a few). You can also expect to easily network with vendors and colleagues from around the world through a lively program of celebratory social gatherings, tours, and other events. Be sure to leave ample time in your schedule to explore our large Exhibits Hall that will showcase the best new products and services available from book dealers, systems vendors, book artists, and others. Beyond the Hilton Riverside conference site, New Orleans offers a rich array of extraordinary art and cultural experiences. A wealth of museums and art galleries exhibit the city’s deep-rooted visual and material arts traditions. Our Convocation Ceremony will take place at the Ogden Museum of Southern Art in the historic Warehouse Arts District. The Ogden is home to the most comprehensive collection of art of the American South, featuring works from fifteen states and the District of Columbia. Another main attraction is the New Orleans Museum of Art in City Park, which has significant holdings in French and American art, particularly its Art of the Americas collections, as well as photography, glass, and African and Japanese works. The museum’s five-acre Sydney and Walda Besthoff Sculpture Garden is pleasure to explore and is considered one of the most important sculpture installations in the United States. On my visit to New Orleans earlier this year with the conference planning committee, I found New Orleans easy and affordable to navigate. New Orleans’ most popular mode of urban transportation--and major tourist attraction-- its famous streetcar system is a great way to explore the city. You’ll be able to easily access most neighborhoods and city attractions, including City Park and the New Orleans Museum of Art, the Garden District, and Tulane University. For those who prefer to explore on foot, popular areas of the city such as the French Quarter, Faubourg Marigny, Algiers, Uptown, and Esplanade Ridge are famously walkable, with abundant architectural diversity, galleries, public spaces, dining options, and riverside pathways. I hope you will join us to explore, celebrate, and be inspired by “Arts du Monde” in February 2017!